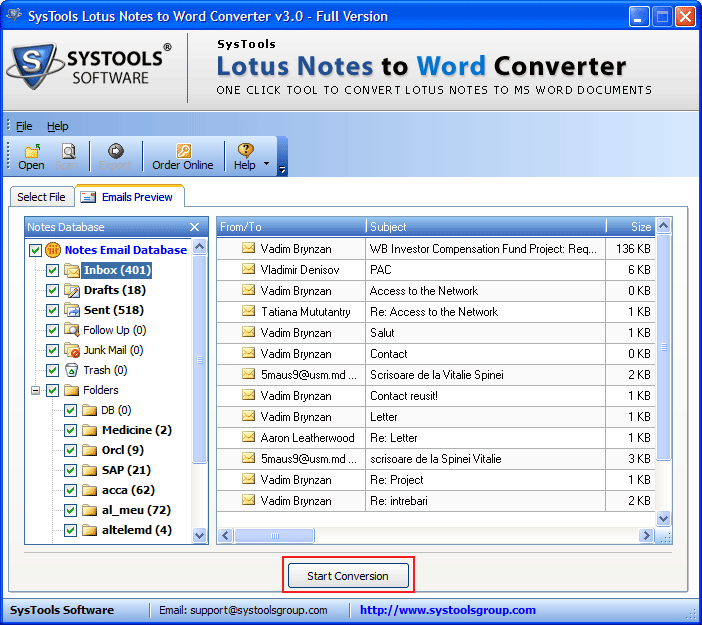 This utility help users to export emails from Lotus Notes to Word (.doc). It creates one DOC file for one message of NSF file. The converter covers all emails from the folders like Inbox, Outbox, Sent, Junk, Drafts, etc., with their respective attachments. 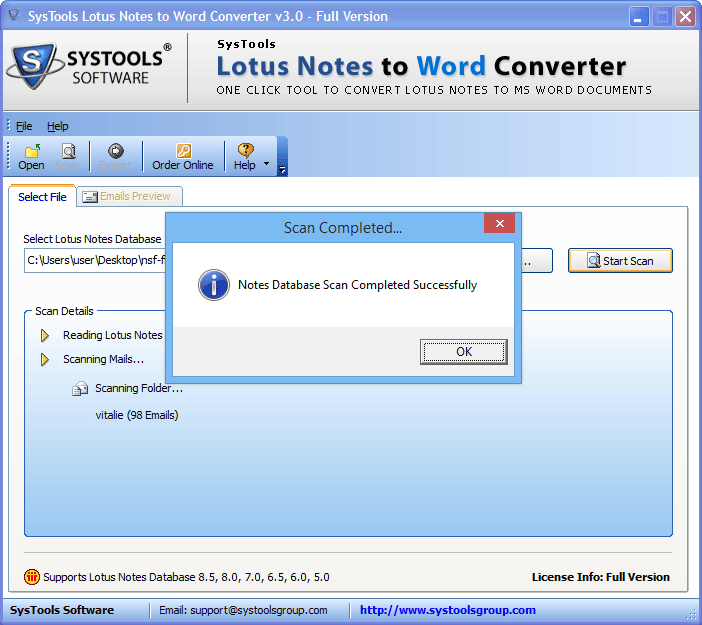 Just after adding .nsf file, the Lotus Notes to DOC converter initiates scanning procedure to extract items from the added file. It lists down all the messages that it founds at the time of scanning procedure. All folders with emails are shown on preview pane. Once the scanning of NSF file is completed, software develops an instant preview. All the emails will get listed and the items present inside them along with the details like: To, From Date, Size in KB, etc., can be seen by selecting an email from the particular folder. 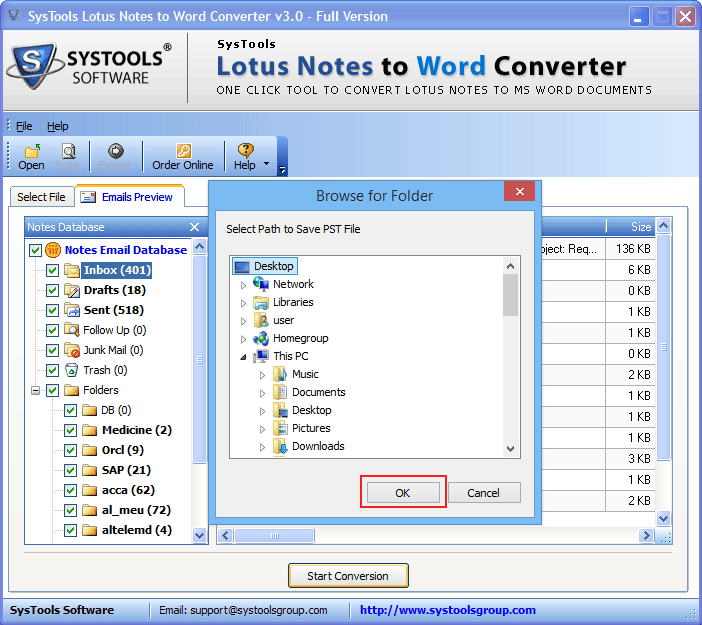 Users can save Lotus Notes email as Word document by checking or unchecking email folders, which they want or do not want to involve in the conversion. This eliminates the unwanted folders from NSF file at the time of saving messages in .doc format. 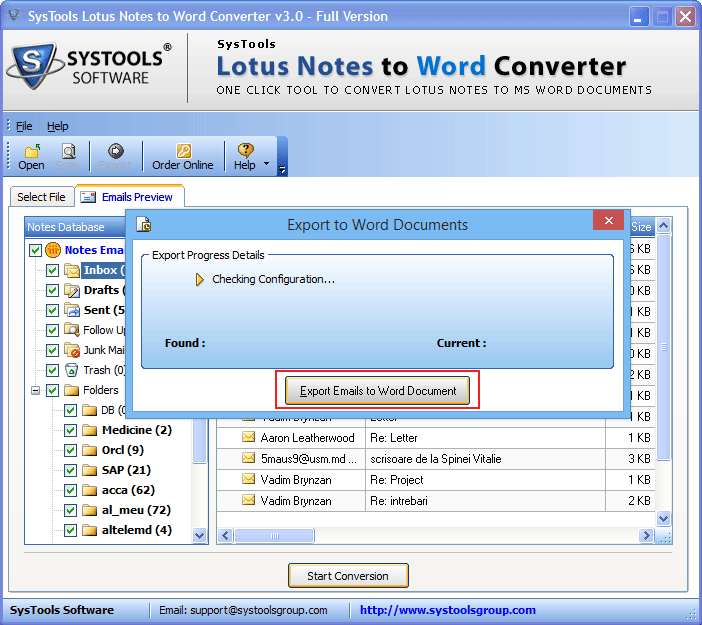 The Lotus Notes to Word Converter preserves all the information regarding a mail like: To, Cc, Bcc, hyperlinks, inline images, and every single detail. This entire information will be present in resultant DOC file. There occur no loss of original data while processing files. While saving Lotus Notes email to Word document, the software shows users export report that illustrates details like name of the folder, subject of the mail, number of emails found in the folder & current processing email that are being converted are also shown. 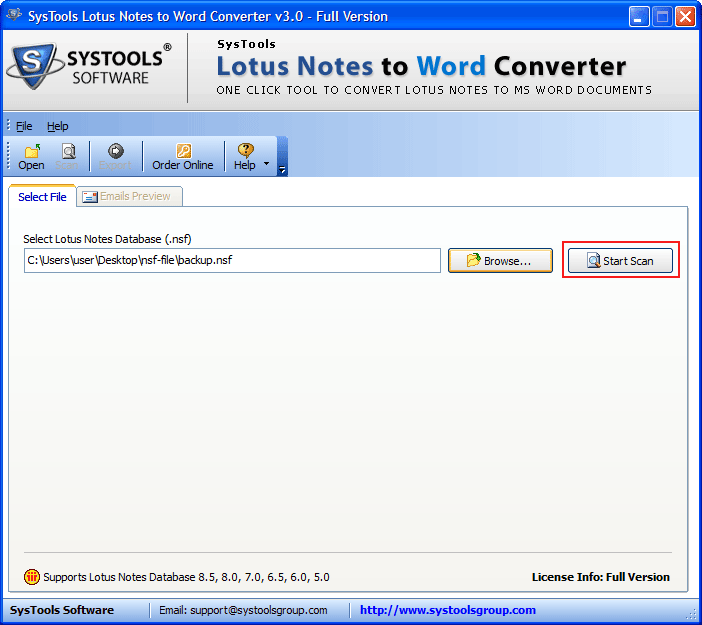 Run the tool, Go to Start Menu >> All Programs >> Lotus Notes to Word Converter >> Lotus Notes to Word Converter. Hit “Start Scan” option to scan items within the database file. You can view the live updates of the scanning process on the software panel as soon as the scan process begins. A prompt will appear showing “Scanning Complete” option. Click OK. The tool will display all email folders including: Inbox, Drafts, Sent, Follow up, Junk Mail, Trash etc. You can select the folder from where you have to convert the emails using check boxes. Select “Start Conversion” to start the next step of conversion. A window will appear for browsing the files. Select a destination folder to save the newly created Doc file. The NSF to Doc Converter will show an “Export to Word Document” Window. Hit Export email to Word document button to proceed with the conversion process. At the end the software will display a message with the destination location of the Word file which is created. Click OK to close all the window. You can now traverse to the location where you have saved the converted emails as .doc file format. What is the maximum file size limitation up to which I can select the file for conversion? You can select any file irrespective of the size. There is no file size limitation while using this tool for exporting Lotus Notes emails to DOC with attachments. Does NSF to Doc Converter ensures data conversion with the email attachments? If so, how? 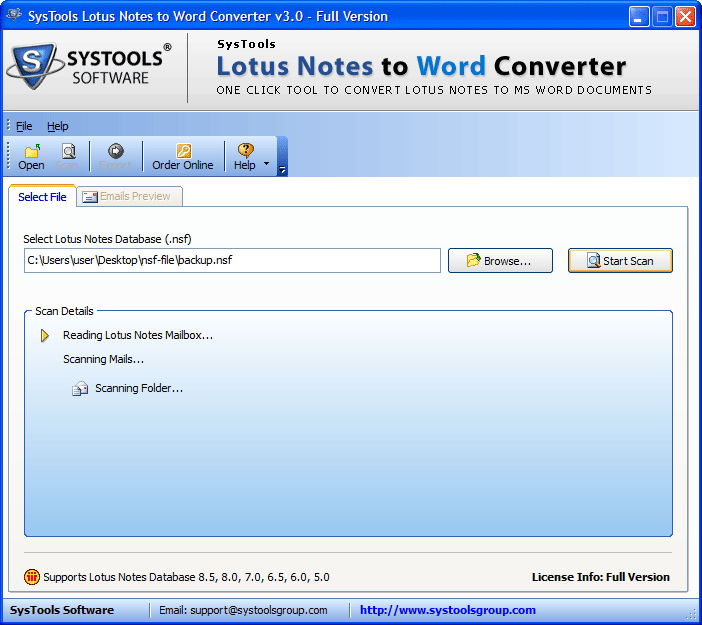 In this case, the Lotus Notes to Word converter does not convert NSF messages with attachment. 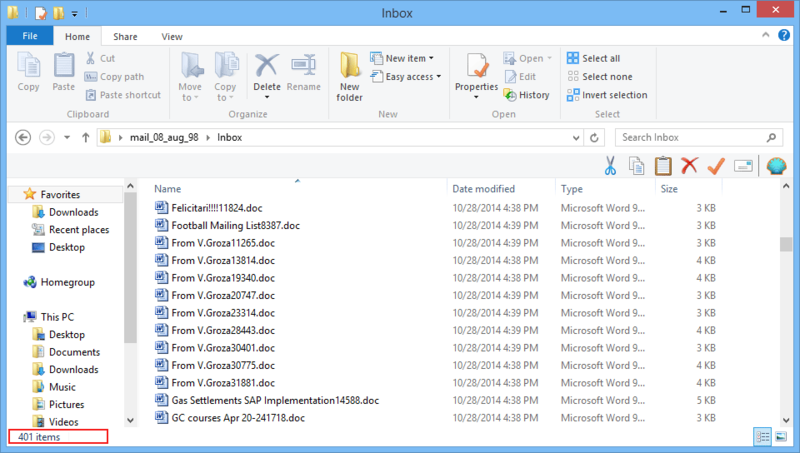 Instead, it save them into a separate folder on machine that will be saved with subject heading of the email message. Instead of exporting all IBM Notes email folders to DOC, I want to save messages of few folder only with help of the software. So, Can I utilize your product for the same? Yes,this tool enables email folder preview where you can uncheck email folders, which you want to eliminate from exporting procedure. Can I export single as well as multiple Lotus Mails to MS Word? No, at one time the software support only one NSF file to convert Lotus Notes email to Word document. Information regarding an email like: To, CC, Bcc will be converted to Word file? Yes, all the information, whatever is written on that mail, whether it be To, from, CC, Bcc, hyperlinks, or any thing else, will be converted to DOC file. Amazing software!!! I wanted to avail my entire NSF files content in the form of simple and readable MS Word files for keeping records but, I cannot achieve this. 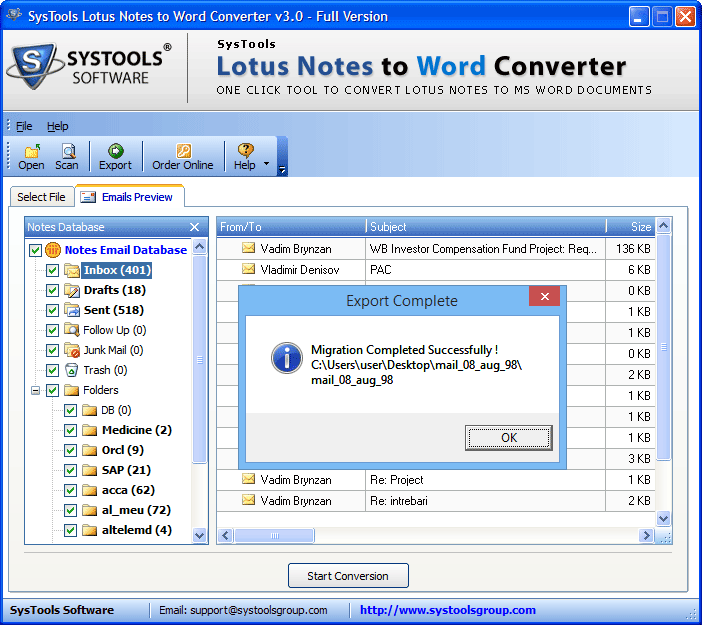 Then, I took assistance from the support executive of the firm and they provide me Lotus Notes to Word Converter. The program gave me surprising results, which I really have to appreciate the way of excellence with which it works. The product is beyond all the latest technologies. The simple process of this software has made my work smooth, effective, and less time consuming. The best part is you are not required to perform manual steps. It saves you from wasting your time and avoids hanging of system. All you need to do is select your NSF file. I am thankful to the software team for showing so much efforts.